Deputy Sheriff James Lowry was shot and killed when he attempted to break up a fight. 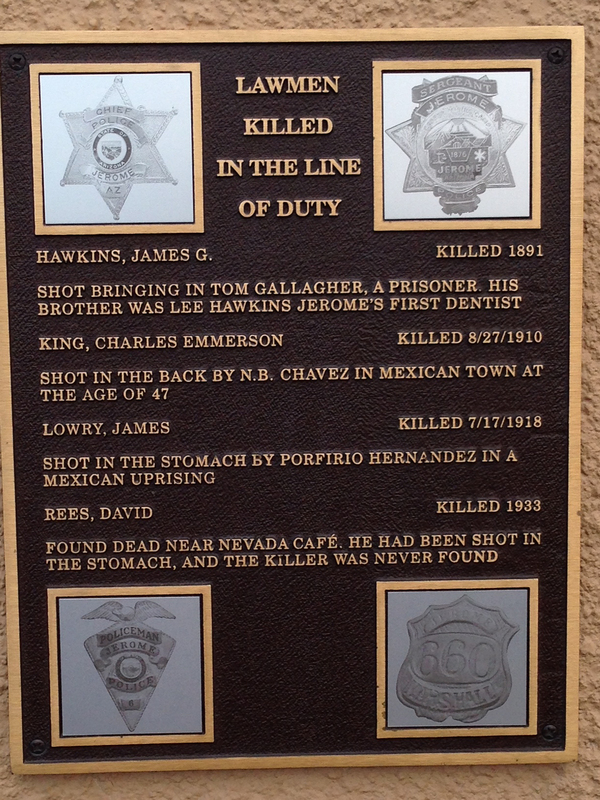 Deputy Lowry was a deputized guard at the United Verde Extension Mine below Jerome. As he was attempting to break up a fight he was shot to death. The shooter fled into the hills and a posse was sent after him. The shooter was later shot by another deputy. Deputy Lowry had previously served three terms as the Sheriff of Yavapai County.